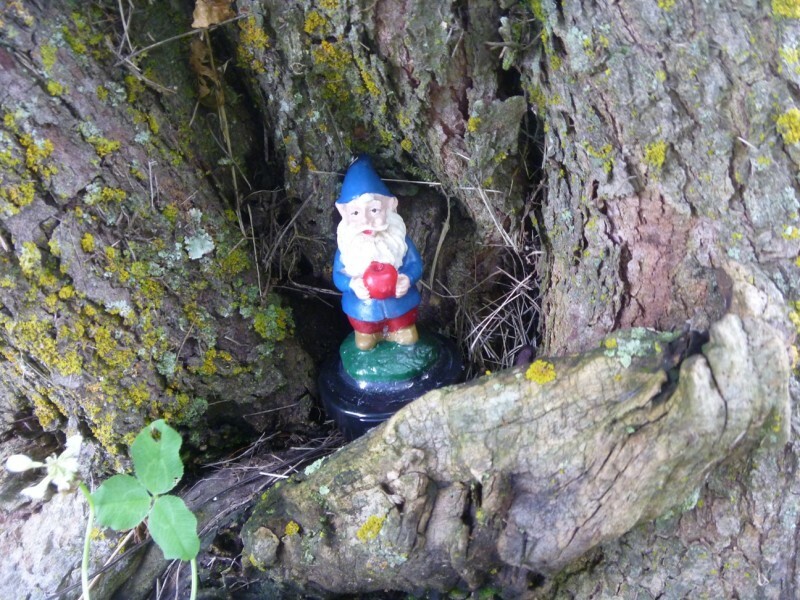 We’re always looking for new ideas for geocaches and the gnome geocache container was one we just couldn’t pass up! 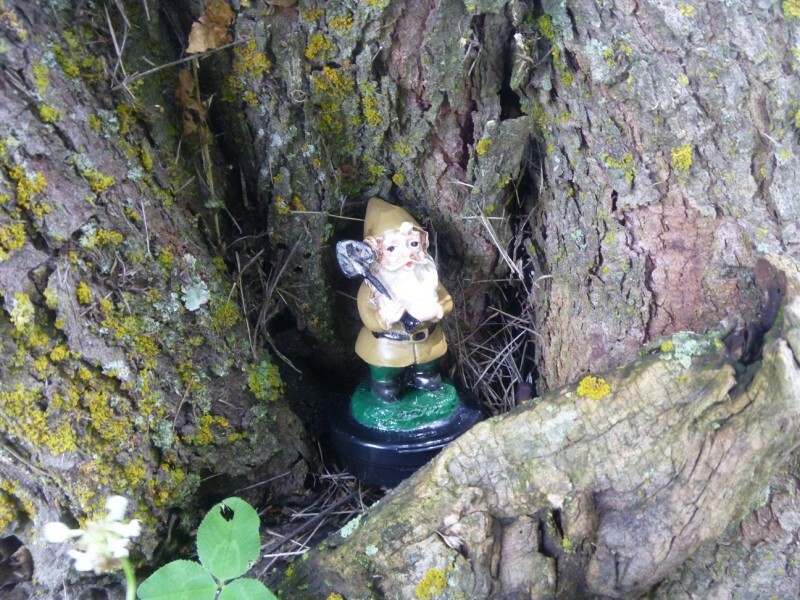 Whimsical & fun, the little gnomes are sure to bring a smile to your fellow geocachers when they discover them. 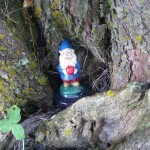 We have the gnome geocache containers in your choice of 3 styles. 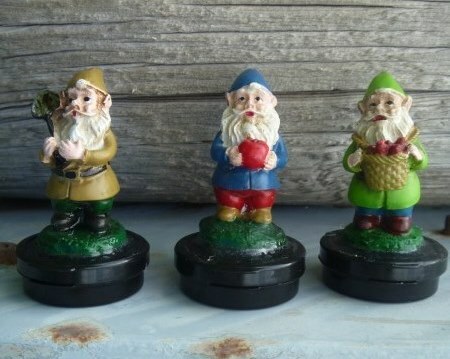 The blue gnome is carrying an apple, the green gnome is carrying a basket of strawberries and the gold gnome is carrying a shovel. 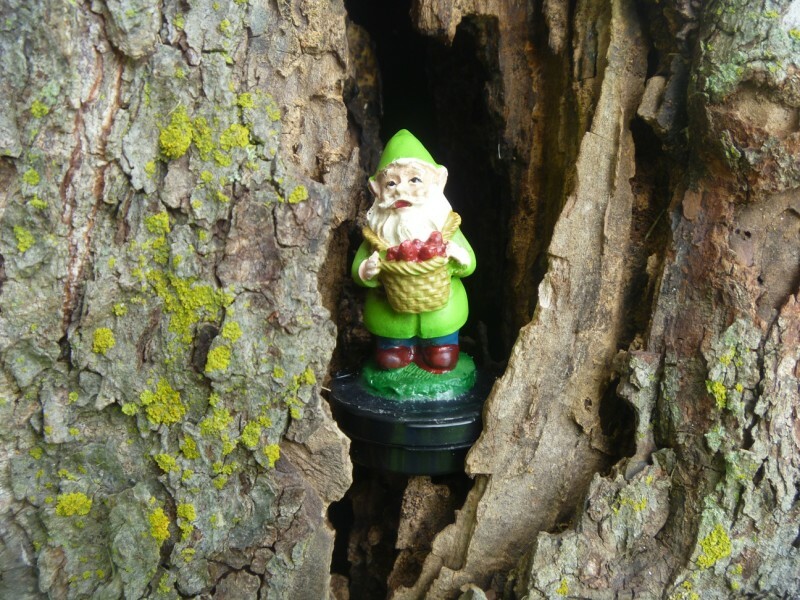 The gnome is made of resin and has been firmly attached to a magnetic snap-top plastic water-tight container. We used even stronger & larger magnets than we normally would so even if you want to hang this guy under a park bench or upside down in a tree, it’s sure to stay in place. The container is pre-loaded with a log in a zip bag for extra protection. 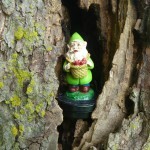 There are so many ways you can use these gnome geocache containers we can’t possibly name them all. Because the container is magnetic, you can hide it in any urban setting (think park benches, light skirts, or guard rails) or simply place in a hollowed out tree or stump along the trail in your rural settings. The possibilities are endless! 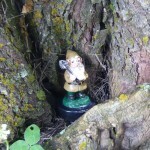 We only have a limited number of these Gnome Geocache Containers. Get yours now while they last!